Communication is universal to all human beings; it regulates and shapes human behavior, so one needs to have a proper concept of communication. 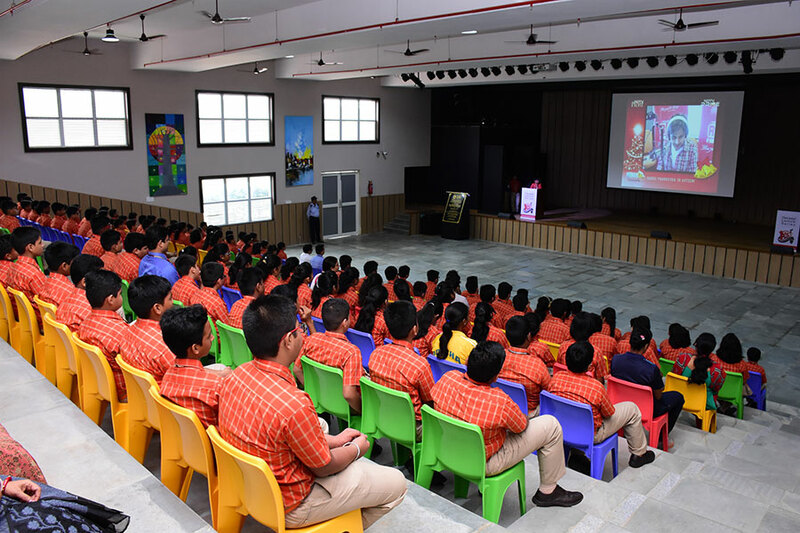 Students of Radio Orange Club of SAI International Residential School showcased the importance of communication and role of Radio in life. Students highlighted the importance of radio and communication and through a video they highlighted how one can become an entertaining Radio Jockey. Radio is a significant mode of communication as it reaches the remotest of locations and is also very cheap in fact it is called the poor man’s companion. Communication is the process of action and interaction towards a desired goal and a society cannot survive without communication. It was a very informative session for the students and the faculty of SIRS.